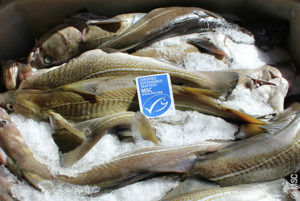 The DLMtool team is working with the Marine Stewardship Council (MSC) to develop and test a standardized approach to using MSE to guide proponents of seafood certification projects toward data-limited management strategies that can satisfy the MSC certification standard for sustainable stock status and rebuilding. The MSC’s DLMtool App will guide users through a systematic process for specifying the key attributes of their fishery, including the biology of the stock, the characteristics of the fishing fleet, and a realistic representation of the uncertainties, biases, and imprecision of the available data. This information will be used to identify management strategies (i.e., data-limited methods and harvest control rules) that could enable the fishery to meet MSC’s stock sustainability indicators when applied correctly by a qualified expert using the necessary data from the fishery. The performance of the different management strategies will be evaluated using closed-loop simulation, either through a comprehensive multivariate analysis of all the relevant attributes that characterize the fishery as defined through the user questionnaire, or through an operating model that is populated by the questionnaire and then used to run a new MSE each time the DLMtool app is used.